For outstation student scholars, who do not reside in Bangalore, travel (by train/bus/air) will be reimbursed up to a maximum of Rs. 2,250 and accommodation arrangements will be made. The GHCI 17 Scholars were chosen by a committee comprising of experienced professionals from the industry and academia. The committee reviews and scores each application on academic achievement, potential in the field and quality of essay. There is a definite need to increase the percentage of women in the technical workforce and build a larger pipeline for the future. 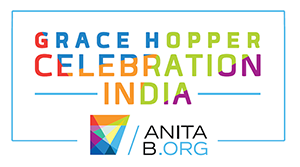 AnitaB.org India offers the GHCI scholarships to inspire, connect and guide young talented women from technical backgrounds, providing them with an opportunity to build rewarding careers in technology. At GHCI, the scholarship winners have the opportunity to meet experienced and highly accomplished professionals for career guidance and get inspired by role models. “We are extremely proud and excited to offer these bright young students the opportunity to attend the Grace Hopper Celebration India Conference. GHCI 17 is a celebration of women in technology and a credible platform to launch a career in technology. Over the years we have seen many who attended the conference as students, got inspired and today are successful technologists. We hope all our GHCI 17 Scholars leverage this opportunity,” said Geetha Kannan, Managing Director of AnitaB.org India. Scholarship recipients also get access to the GHCI 17 Career Fair (for women professionals and students in technology), where students can meet top recruiters from global technology companies. Students can explore internships as well as full-time job opportunities. Click here to view the list of organizations present at the Student Career Fair. GHCI is the largest gathering of women technologists in India and is expected to attract over 3,500 participants from the industry, academia, and government.